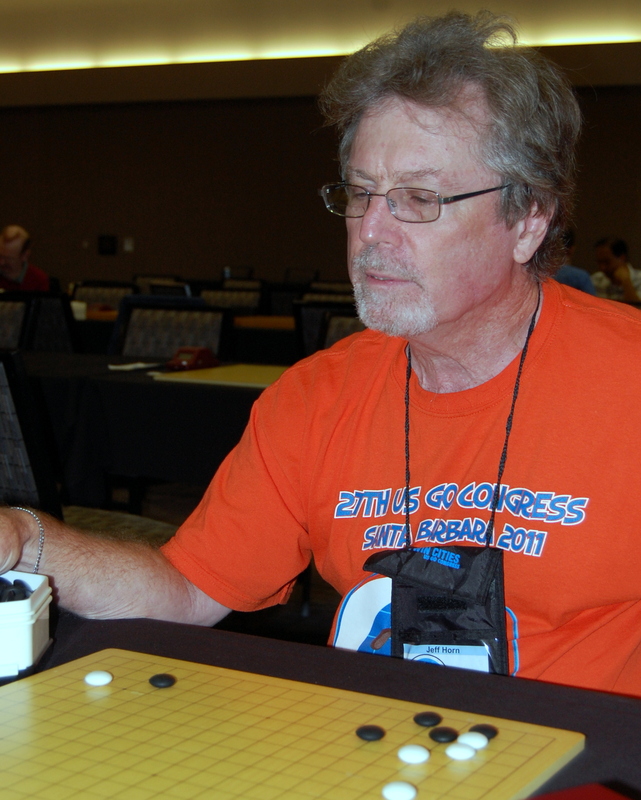 As of Thursday night, 96 games have been reported in the Self Paired Tournament at the US Go Congress. Jeff Horn (right) seems to be making a pretty serious run at sweeping a number of the categories, leading in four of the seven categories, while Miyoka Miyama is leading or tied in two. Many other players are only one or two games behind the leaders, reports TD John Hogan. All game results must be turned in by 12 noon on Saturday.